Ever since Black Friday, I vowed not to do any Boxing Day shopping at all this year. No way was I subjecting myself to torture such as lining up in the cold, battling crowds and lining up to pay. A regular day in Richmond yes, but for me I wanted no part of it. "Let's head out to shop on Boxing Day! ", Viv exclaimed. Aiya! "And we're bringing the kids along too...". Double aiya! I'd rather be stuck waiting at the passport office on Saba Road in Richmond during a snow storm with crying kids than shop on Boxing Day with them. Fortunately, the shopping was limited to non-popular stores such as Canadian Tire and Michael's, with a small dose of Superstore and Walmart well after the morning rush. 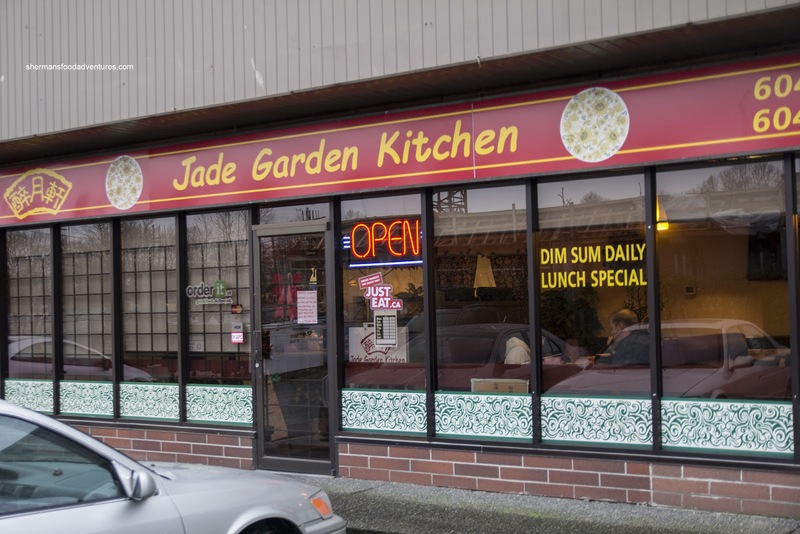 Of course, by virtue by being out, we needed nourishment sometime down the line and since we were in North Van, we headed over to a small Chinese restaurant that served Dim Sum. Yes, Dim Sum and the North Shore go together like manners at a Stupidstore, but I'm a curious creature, so off we went in hopes there would not be any curious creatures in our food. 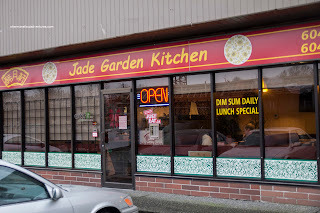 Other than Westview Oriental, there are not a lot of Dim Sum choices in North Van, other than Jade Garden Kitchen. And even with that, the selection is limited. 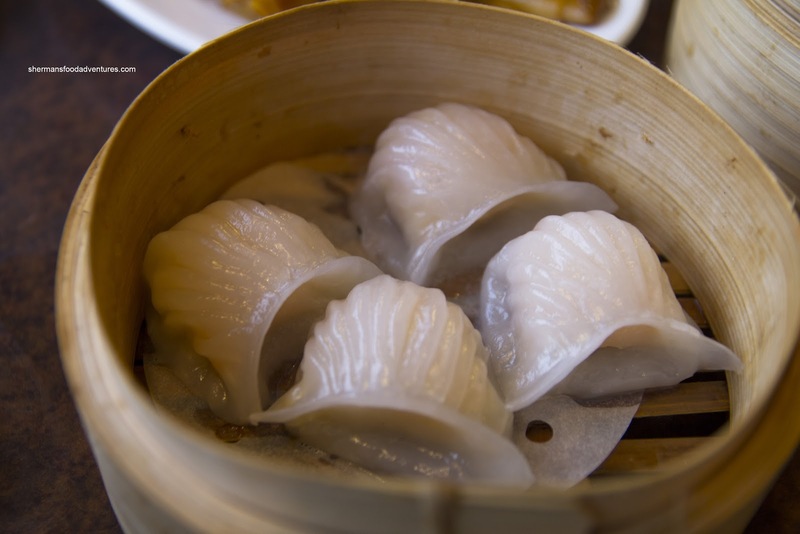 One could choose from Shrimp Dumping and Sticky Rice Warp... Spell check anyone? 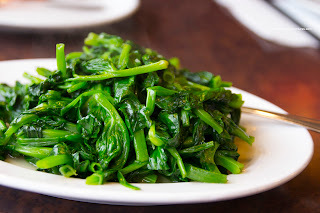 What we did start off with was the Stir Fried Pea Shoots with Garlic. This was a well-prepared dish where the tender shoots were just cooked maintaining a mild crunch. There was good wok heat as well as just enough seasoning. 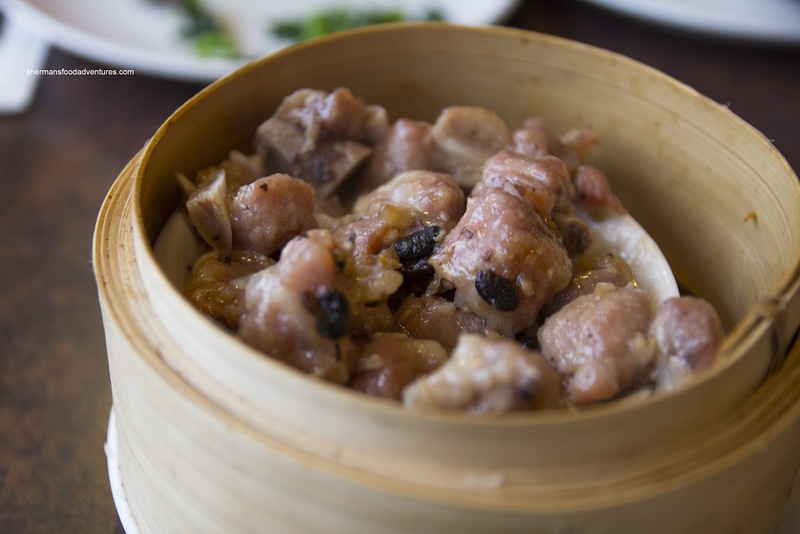 Next up was the Black Bean Spareribs which was also well-prepared. I personally liked the use of dark soy which gave the meat some colour. The whole thing was garlicky, mildly spicy and plenty flavourful bordering on salty. The meat itself exhibited a nice bounce texture from proper tenderization. 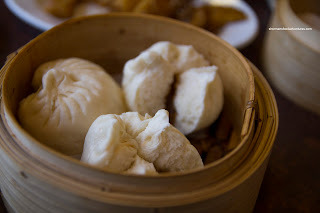 Moving along, we had the BBQ Pork Buns (mercifully spelled correctly on the menu...) which were pretty average. The bun itself was a bit dense with a filling that was acceptable. 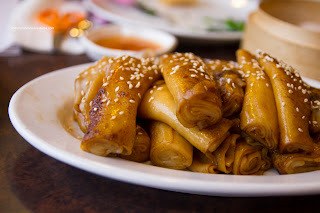 A little pale-looking and sweet, but not too many fatty pieces. 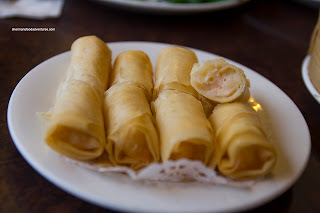 Lastly, we had my son's favourite dish being the Soy-Fried Rice Noodle Rolls. Naturally, these were not made in-house, so the success of the dish rested its preparation. In that respect, it was pan-fried nicely with good colour and an acceptable amount of grease. The noodles were soft and there was enough sweet soy caressing each piece. In the end, the meal did the job considering where we were. 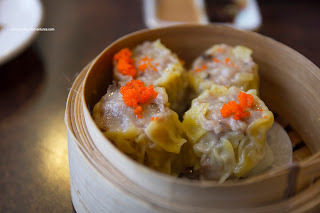 But for better Dim Sum, I would personally cross into Vancouver.